What is the time limit for bringing a personal injury claim in England? If you have suffered an accident or injury and another party was at fault, you are entitled to make a personal injury claim. However, it is important to note that the law imposes strict time limits on bringing a personal injury claim, whether you’re bringing a general accident claim or a more specific type of action, such as a road traffic accident claim. Precisely how much time you have to bring your claim will depend on your general circumstances and so it is always prudent to contact an expert personal injury solicitor as soon as possible. However, this post looks at some of the main time restrictions and considerations when making a personal injury claim in England. Normally, you will have three years from the date of your injury to bring a claim. This sounds straightforward, but in practicality there are many things which can affect this general time limit. For example, if you are involved in an accident and you do not discover your injury until a later date, this may affect when your time limit will run from. Those based in Scotland can find out more from https://www.personalinjuryclaimsglasgow.co.uk/. One of the exceptions to the three-year time limit is for those aged under 18. If you were injured before you were 18 years old, the time limit for bringing a personal injury claim does not begin until your 18th birthday, as a result, you must commence your case before your 21st birthday to prevent your claim from being time-barred. If you have contracted a disease as a result of someone else’s negligence, for example an asbestos related disease, the time limit begins from when you knew or ought to have known that you have contracted a disease. Typically, this will be from the date when you first started showing symptoms, or where a medical professional diagnosed you with the disease before you noticed any symptoms of illness. This will be determined by the court on a case-by-case basis, and so it is crucial to bring your claim as soon as possible. Where a medical professional has failed to diagnose your injury or illness, and this results in further injury, the time limit will generally run from when you discovered that the medical professional had failed in their obligations to you. Again, this will be assessed on a case by case basis. Where an injury or condition substantially worsens at a later date, the time limit will normally run from the date you discover the severity of your injury. Say for example, you are involved in a car accident and believe you have escaped with minor cuts and bruises. If this injury later develops into a more serious internal injury, even months down the line, the time limit will generally run from when you discovered that you have a more serious injury than you believed. It is always best to consult a personal injury lawyer as soon as possible, and not to rely on the time limit for your specific circumstances beginning at a later date. 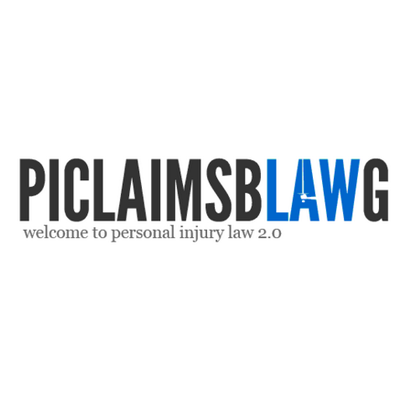 Previous post: Involved in a Rideshare Accident (Taxi, Uber, Lyft) – Do You Need a Personal Injury Lawyer?